From Temple Run to Subway Surfers—we’ve seen a lot of games in this genre and for good reason. They’re really fun! 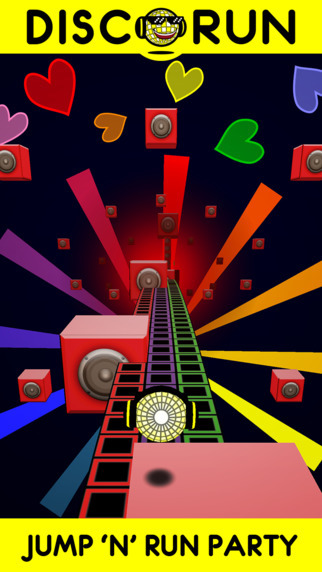 Today we’re featuring another app that’s designed with the same mechanics, but this one does stand out with some great features and a much more musical approach. Are you ready for the disco fever? 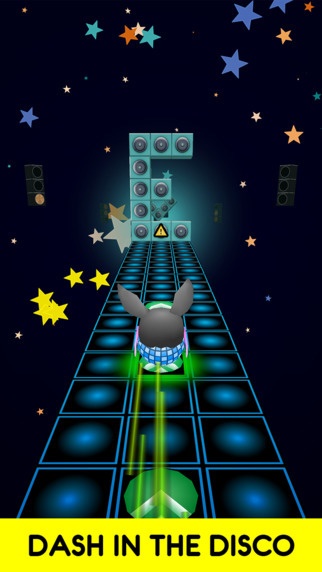 Because Disco Run will make sure you’re bouncing on your feet at all times. 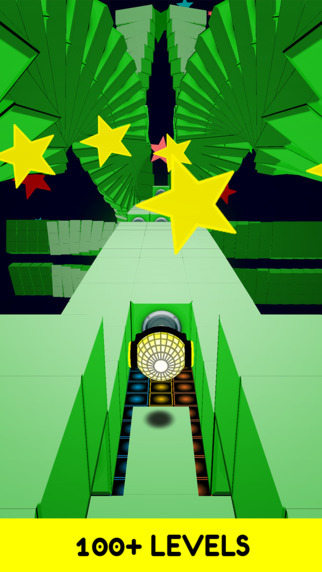 In Disco Run you control a happy-faced disco ball across beautifully designed levels. Using your thump you can slide left to right to dodge obstacles and jump, bounce and slam for complete control over the disco ball. You always move vertically and there are three columns over which you can control the ball. 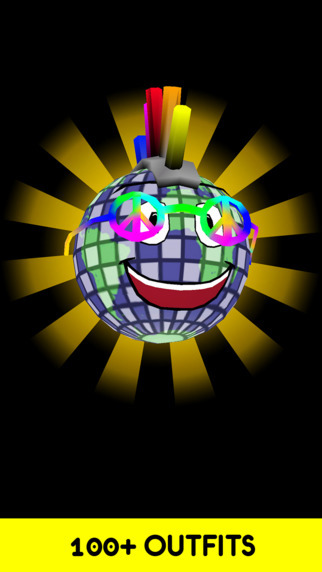 Disco Run features some beautiful party music, pumping out a lot of different EDM tunes that really spice up the levels and the game in general. In each level there are three objectives you can complete, so you’ll have to revisit certain levels to completely beat the game. The first objective is simply reaching the end. If you don’t jump on time you might just crash against a set of speakers blocking your way so be careful and time your jumps correctly. The second objective is time-based, which I found really fun. Each level has a set amount of seconds, if you beat it faster than that you will complete the objective. The last one is collecting all the stars, so there is a collecting aspect to the game as well. It is hard and sometimes impossible to complete all the three objectives in one run, as you sometimes have to sacrifice a star to get a speed-up boost and reach the finish before the time-limit. This does add a lot of replay value to the game, which is a good thing. There’s a tutorial section at the beginning of the game and after each tutorial level completed you will get a piece of clothing for your disco ball. These range from hats to face accessories and even different colors for the body. You will also collect more coins as you progress to unlock new things for your character, and additionally you can purchase a ton of coins for just five bucks. The game is designed beautifully in 3D and every level is dressed quite nicely. If you’re looking for another game you can sink a lot of time in and that brings quite the challenge, Disco Run might be the game for you. With beautifully produced EDM music you will be sure to get a thrill out of it. Disco Run is completely free of charge to download, so what are you waiting for?